See the plaque on that hat? 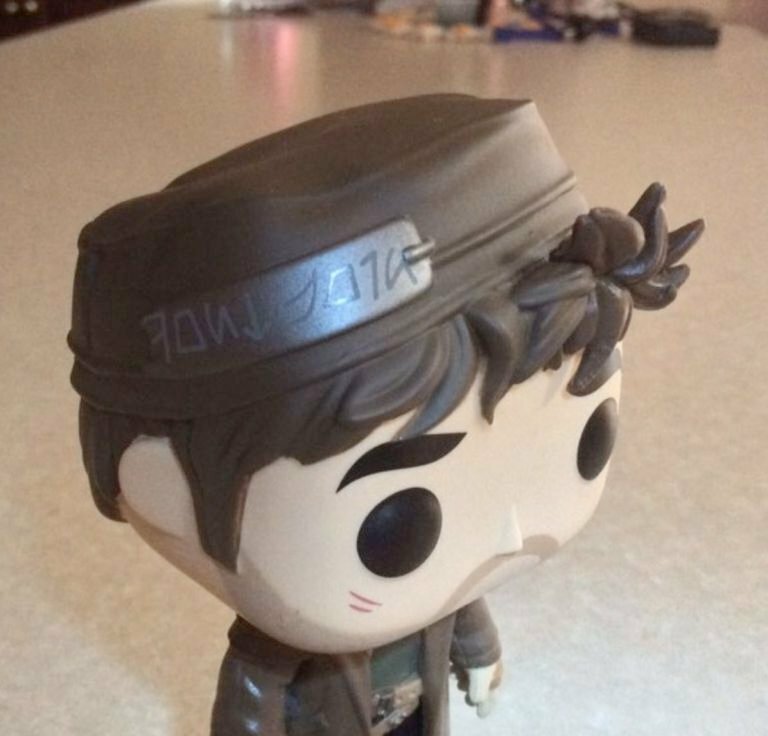 What you’re looking at is the Funko Pop vinyl figure of “DJ,” Benicio del Toro’s character from The Last Jedi. (Image via Slashfilm.) Turns out that it spells out something in Auerbesh that could explain what “DJ” stands for in the movie. Maybe. On the podcast, I talk about that at the very end of the show (and I give you ample warning in case you want to jump off first – I don’t think it’s much of a “spoiler,” per se, but in case you want the option, you’ll have it). 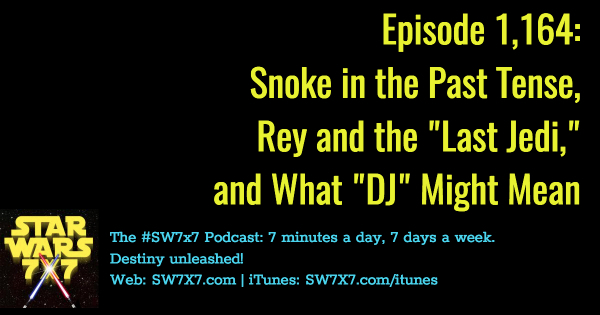 I’m also talking about a curious choice of verb tense in a description of the Elite Praetorian Guard (Snoke’s bodyguards), and more fun in speculating on the nature of Rey’s developing relationship with Luke, thanks to Force Friday II packaging copy.